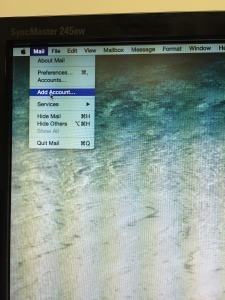 First open the Apple mail program and click the file menu. 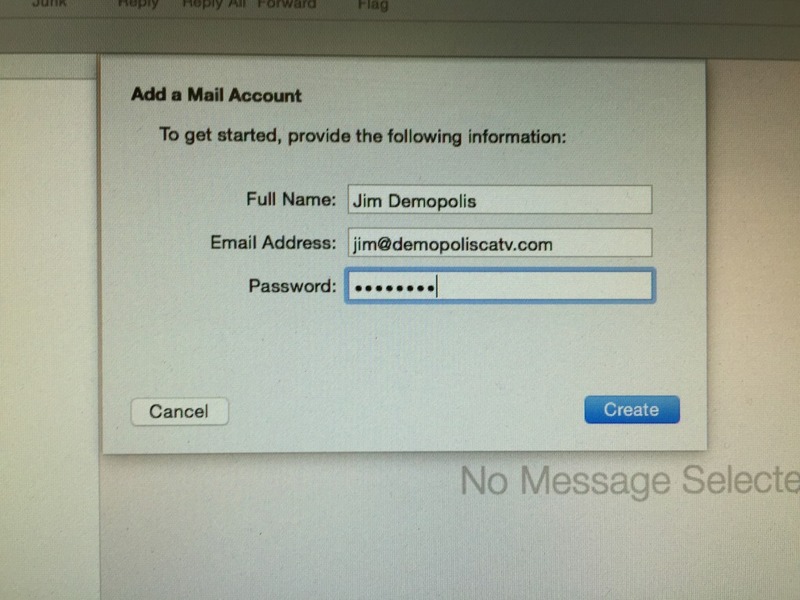 Click on �Add Account�. It will ask you what kind of account. 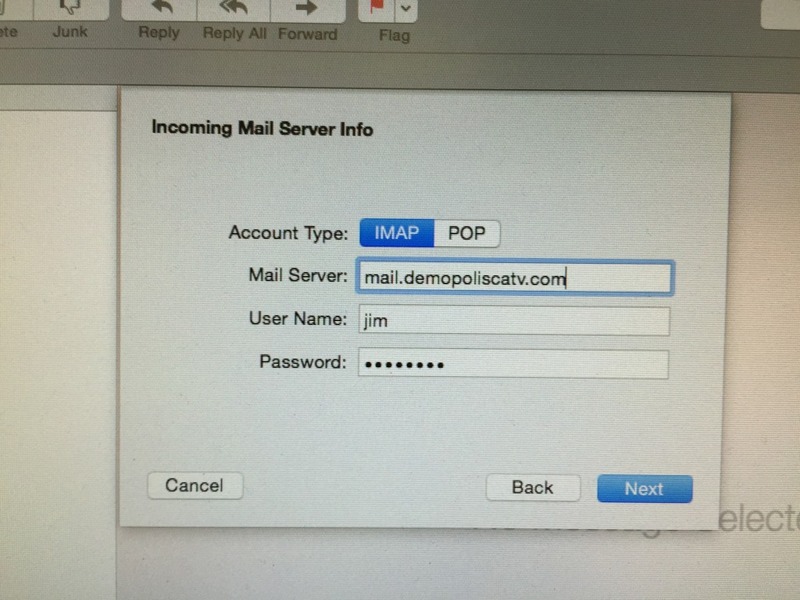 Choose �Add Other Mail Account� at the bottom. 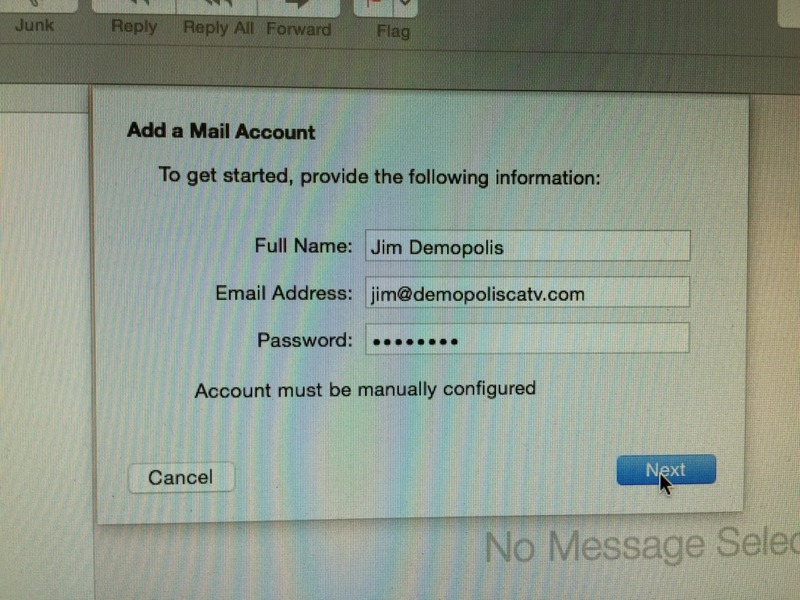 Then add your name, email address and password. 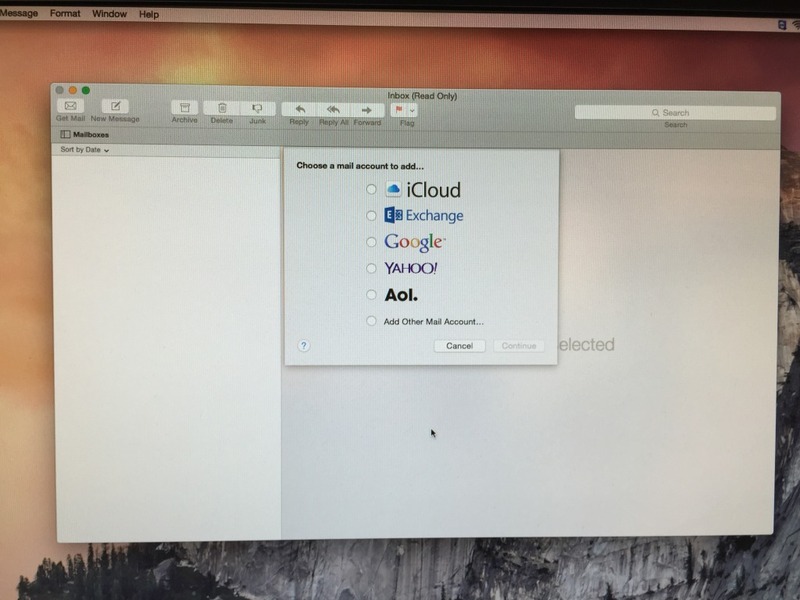 It tells you �account must be manually configured�, so just click Next. 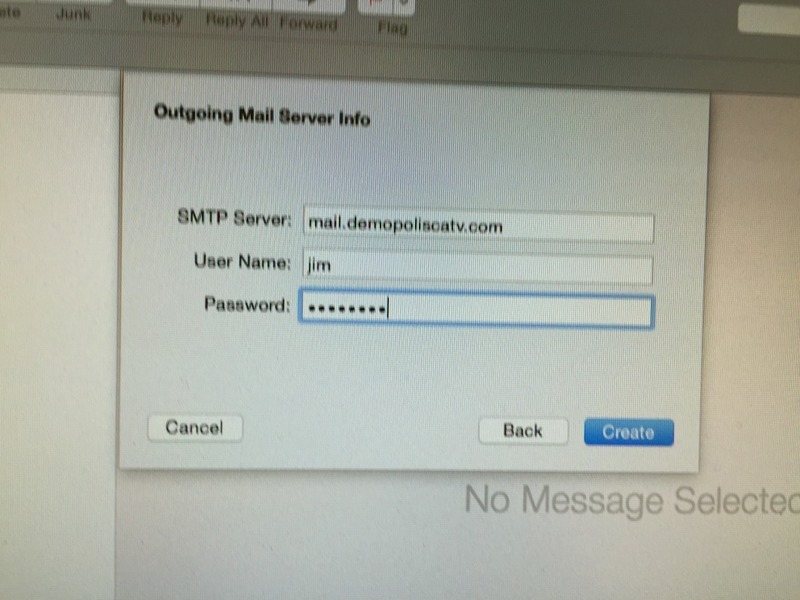 Now we setup the Incoming Mail Server Info: Type in �mail.demopoliscatv.com�, your username (with or without the @demopoliscatv.com), and your password. Then click Next. Now the Outgoing Server information. 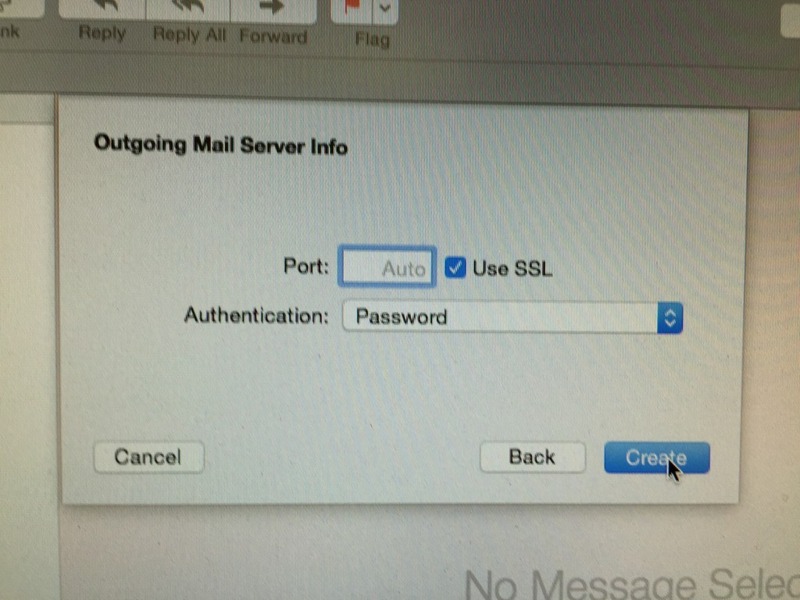 Same thing as the Inbound server. 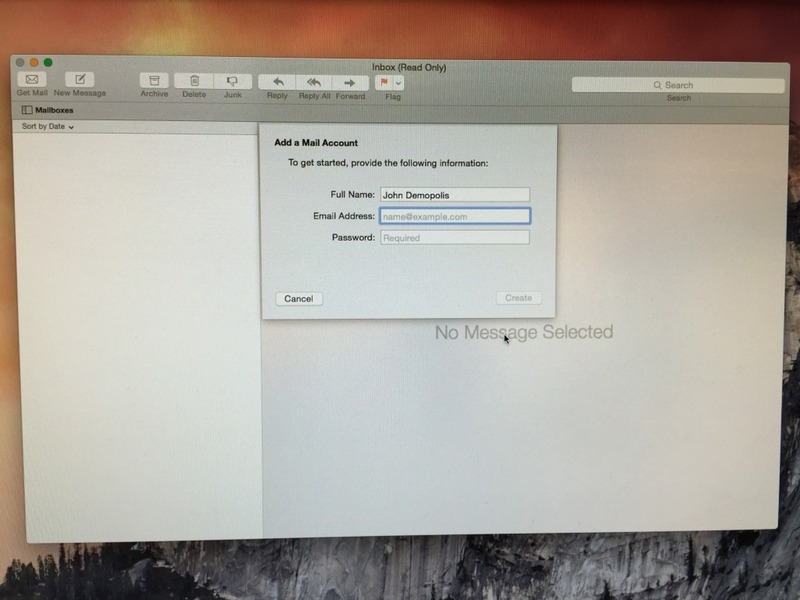 This is the next screen and you do nothing here except click on Create. YOU ARE DONE!